Auditions will be held in late-Summer 2019. To ensure you are notified once audition dates have been set, please contact us. Five unforgettable Southern women set aside a long weekend every August to recharge their friendships that began while on their college swim team. Free from husbands, kids and careers, they meet at the same beach cottage on North Carolina's Outer Banks to catch up, laugh and meddle in each other's lives. 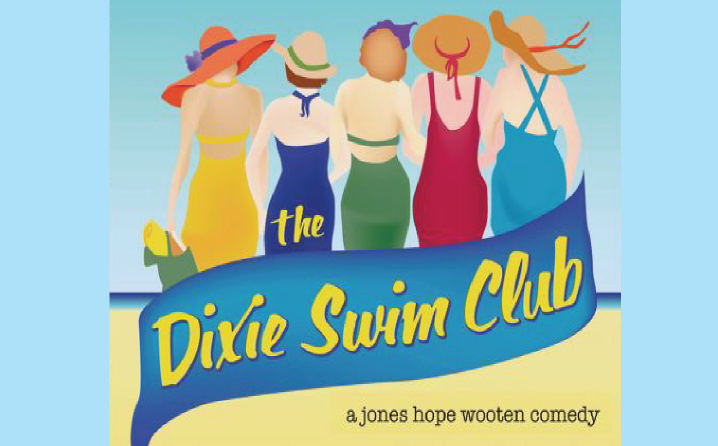 Written by the talented team of Jessie Jones, Nicholas Hope and Jamie Wooten, THE DIXIE SWIM CLUB is a hilarious and touching comedy about life’s twists and turns, and how lifelong friends can pull you through.